The DOC Killswitch automatic knife from Microtech harnesses the design genius of Anthony Marfione and Mick Strider. 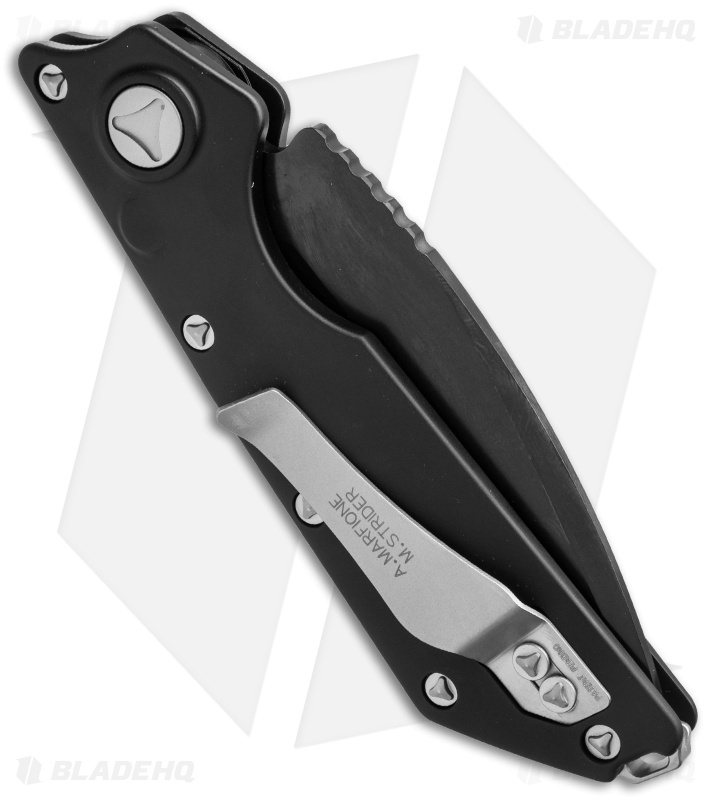 It features a black anodized 6061-T6 aluminum handle with traction inserts, titanium backstrap, and stainless steel pocket clip. The spear point blade is compound ground, which puts more steel at the tip. The DOC has evolved to include a unique safety, dubbed the Killswitch, that is integrated into the push button. 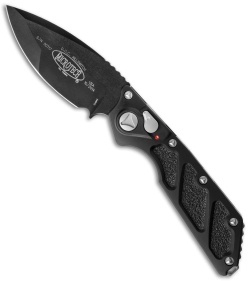 This model has a black coated blade with a plain cutting edge.